Nigerian popular cleric, Prophet T.B. 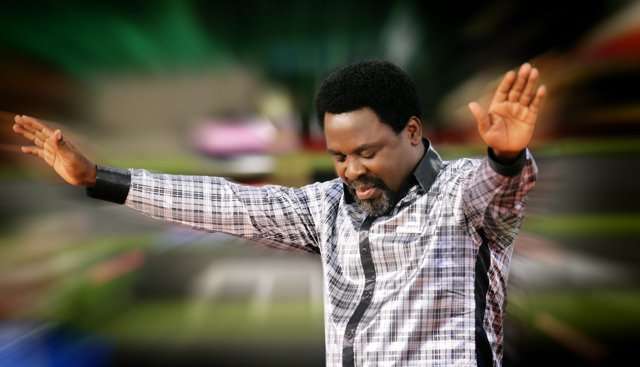 Joshua of The Synagogue Church of the Nations (SCOAN) has called for urgent prayers for Nigeria against the "interruption of democracy" in the nation. This followed an alleged revelation he received regarding Nigeria on three different occasions. The clergyman, as he preached to parishioners on Sunday, July 1, 2018 at a service through the Christian television network Emmanuel TV, said: "It was in my vision and God told me to tell the nation and the leaders that pray against the interruption of democratic practice. "The heart of the president is like a stream of water in the hands of God and He can control it whenever he wants." Joshua reminded parishioners of the "prophecy" he gave in 2016, in which he frankly stated that the future of Nigeria was "asking for help." "You must join me in prayer for the nation because two believers are better than one," he added. He urged his parishioners to pray to God to give President Muhammadu Buhari and the leaders of Nigeria "a greater understanding of God's heart, discretion to guide their hearts, understand what will protect them and wisdom that will rescue them."